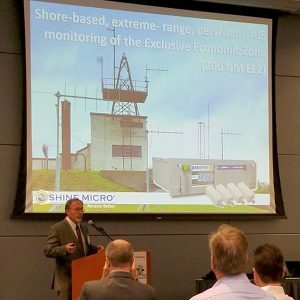 Mark Johnson, President and CEO of Shine Micro, Inc., will present at the annual RTCM / NMEA Marine Electronics Conference and EXPO on Wednesday, September 26, 2018, at the PGA Resort in Palm Gardens, Florida. The combined NMEA / RTCM Conference & Expo is the largest industry trade event focusing strictly on marine electronics. Meeting sessions are complemented by exhibits and demonstrations of the newest technology in maritime radiocommunications and radionavigation equipment and services, provided through the cooperation of RTCM and NMEA member organizations. 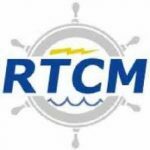 The Radio Technical Commission for Maritime Services (RTCM) is an international non-profit scientific, professional and educational organization. RTCM standards are used internationally for Differential Global Navigation Satellite Systems and Electronic Chart Systems. RTCM members can monitor and participate in the development of international standards for maritime radiocommunication and electronic navigation systems. The National Marine Electronics Association was founded in 1957 by electronic dealers to discuss how to strengthen relationships with electronic manufacturers. The Association works closely with the FCC, US Coast Guard and RTCM, and is responsible for uniform interface standards such as NMEA 0183 and NMEA 2000 for digital data exchange between different marine electronic products. Shine Micro is the pioneer of high-sensitivity AIS receivers for long-range, real-time, persistent monitoring and vessel tracking. From the United States Coast Guard (USCG) Nationwide Automatic Identification System (NAIS) to the invention and patent of Class B AIS transmission protocol (CSTDMA), Shine Micro specializes in innovation and optimization of AIS, including VHF technology for Exclusive Economic Zone (EEZ) monitoring and Small Vessel Tracking (SVT).